That didn’t please OC GOP Chairman Scott Baugh, who has a policy of not issuing party endorsements to candidates who accept union money. But apparently there is a loophole as the Baugh edict applies only to local,non-partisan offices. However what I find more disgusting is that Nguyen is an alternate on the Orange County Fire Authority’s Board, and if she loses to her main opponent, Jose Solorio, we will be stuck with her on the Orange County Board of Supervisors for two more years. 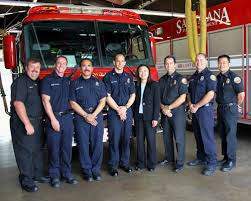 And that means that Nguyen will have a chance to vote on upcoming OC Firefighters’ contracts – and may also affect their pensions. So the OC firemen essentially decided to pay off Nguyen now rather than risk her wrath later. You can still stick it to Nguyen by voting for her Republican opponent, Dr. Long Pham, or for Solorio, in the June Open Primary Election.